You are here: Home / Branding & Consumerism / Reverse Trick or Treating? Isn’t That, Um, Marketing? 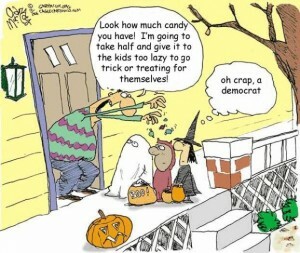 Question: At what point does trick or treating become more about adult agendas than kids’ fun and festivity? The joy of seeing little pumpkins in their costumes is usually gift enough for me, but I admit, it always warms my heart to see cute costumed characters trying to make a difference in this big ol’ world, even if they’re parroting their parents’ eco-values or philanthropic bent. I dunno maybe it’s just me….Because it occurred to me in this election year, it could carry forth to the next level; some folks could be offended if some kid ding-donged with a McCain flag or an Obama button. That said, it STILL doesn’t bother me, because it says to me “thinker”—“engagement”—changemaker—cyclebreaker—catalyst for future generations. Am I alone here? Where’s the line in the chocolate? Would you be offended if some pint-sized self-righteous ghoul or goblin came a-knockin’ ready to impart green Halloween greetings or stumping for SightNight? 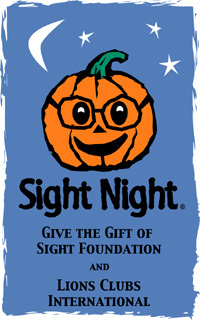 One year our scout troop did the annual SightNight gig via Lions Club/Lenscrafters, asking folks via flyer ahead of time to donate their broken, scratched Rx eyeglasses for refurbishment/reuse for kids in developing nations. It was a huge hit actually, but it takes advance planning so folks aren’t scrounging through drawers when the doorbell rings. Are kids becoming the ‘front man marketer’ for the adult agenda? Shouldn’t kids just be kids? And trick or treat for dump-on-the-table candy hauls? If she’d voiced it as HER passion and not mine, it would be fine, but it just seemed lame to turn my agenda into hers. Am I wrong? What do you think? 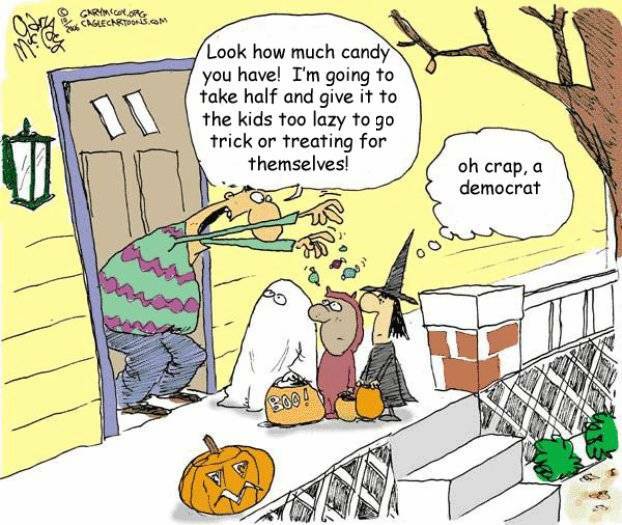 Oh, and btw, are you getting many trick or treaters tonight? It’s rather lonely here…we must not have made the A-team on the neighborhood hit list. I figured, what the hey, anyone willing to schlepp kids through the rain deserves a treat, why not introduce them to the local green businesses and healthy eating spots, eh? Sadly, we had a paltry turnout tho…I guess people now hangout on the mega-candylanes of suburban ‘safe streets’ instead of staying on the island. “Turn and face the strain…Ch-ch-ch-changes…” Sing it David.